Each time Meemaw and Pappaw visited us--which was often, since they lived ten minutes away--Pappaw brought me a palm-sized bag of marbles, wrapped in stretchy plastic netting. Together, we poured each bag into a large, clear glass jug. I watched them trickle over the other marbles, clinking against the glass. When we moved, the weight of the nearly-full jug had left permanent indentations in the living room carpet. It was July 1999, just after my eleventh birthday. We packed all our belongings into a lumbering yellow rental truck and made a six-hour trek from the white sand beaches of the Gulf Coast to the gentle plateaus of the Appalachian foothills. We arrived at our new rental house late in the afternoon, already exhausted before we even began the task of unloading the truck. We were elated when two neighbors walked over and offered to help. We gathered around the truck. Someone lowered the metal ramp and lifted the door with a deep rumble like thunder. And with a gentle, steady hiss, like an enormous wave washing over us, hundreds of marbles poured over the ramp, bouncing onto the gravel driveway. We stood in silence as they collected at our feet. 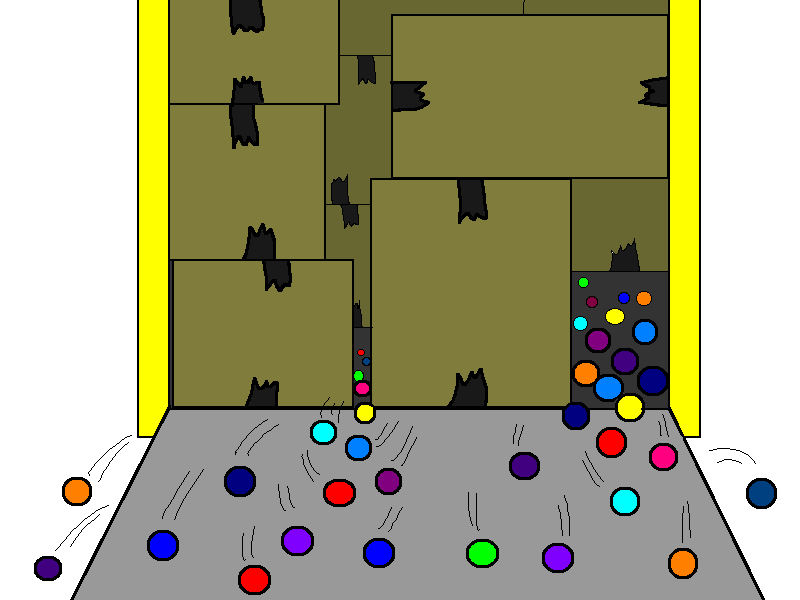 Each time all the marbles seemed to finally trickle out of the truck, a new tide would swell from the dark recesses of boxes and furniture and gush across the ramp. 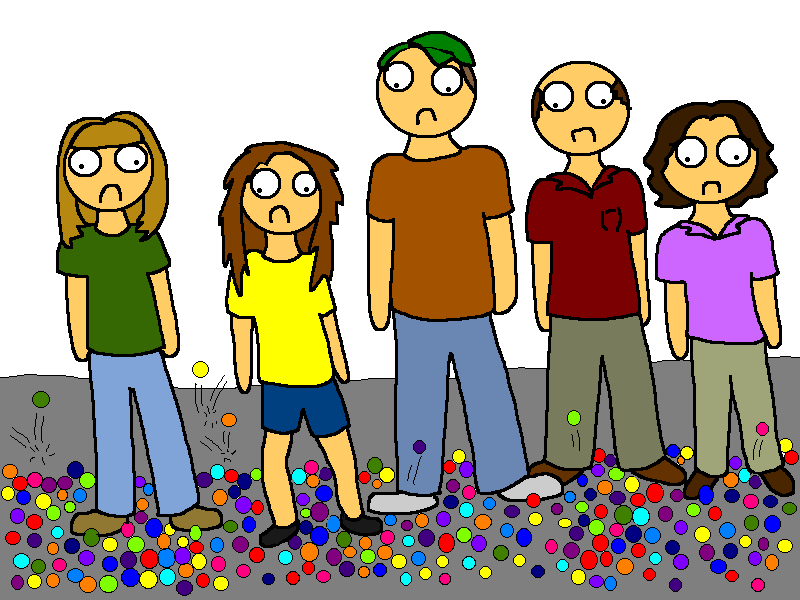 When we moved out of the rental house eight months later, we were still finding marbles embedded in the gravel, sometimes whole, sometimes crushed, the occasional glinting reminder of those years spent pouring tiny bags of marbles into a jug. Ha Ha, I love how you were still finding them in the gravel. I wonder what the new tenants thought about it? I was resisting the urge to make that pun the whole time. I'm glad somebody said it. Janie Junebug aims to please. I love the expressions and just the image of the marbles coming out of the truck! Thanks for visiting L is for Lizzie Bennet Diaries. Is there a particular reason you are not an Austen fan? Your witty anecdotes and sloppy (but in a good way) drawings are really great and at least you only lost some of your marbles! This is such a cute story, and I love the imagery in both your words and cartoons. You are so talented with both.